When it comes to smartphones that offer plenty of value for money, the BLU name is certainly one of them. They have indeed improved over the years, but do not expect them to occupy the high end smartphone segment anytime soon. In fact, their latest device will see the expansion of the Vivo XL range, through the introduction of the new Vivo XL2. 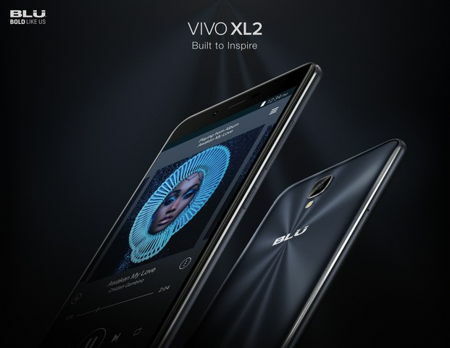 The BLU Vivo XL2 has been touted to be the next generation that will continue the trend of the highly successful BLU Vivo XL which was introduced at CES in 2016. The original success of the BLU Vivo XL has been said to be its design, performance and user experience. The all new BLU Vivo XL2 intends to make sure that there will be leaps made in the realm of technology without adding any more financial burden to the end user, as it preserves the $149.99 price point. Where the new Vivo XL2 is concerned, it will up the ante with double the amount of internal memory at 32GB, which will be accompanied by 3GB of RAM that should be able to deliver a far superior user experience compared to its predecessor. Not only that, the cameras in the BLU Vivo XL2 will also be upgraded, as it features a Wide-Angle 8MP sensor in front that ensures you have the best selfie experience for a device in its class, while the main camera at the back carries a 13MP sensor with improvements made to its aperture and lens. Design-wise, the Vivo XL2 will feature a diamond micro pattern that is engraved on the back cover, enhanced with electrolyzed metallic finish alongside a sunburst effect so that the finish ends up with a glass-like transparent coat that is amazing to look at. The 3,150 mAh battery ought to be able to help it keep going for longer times between charging, and the 5.5” display delivers 720p video quality. Dual SIM support continues to be a feature with newer BLU devices, and you can pick it up unlocked for $149.99 in Liquid Gold and Midnight Blue shades.